A Liberty & Co Cymric silver dish or bowl hallmarked for Birmingham 1904. 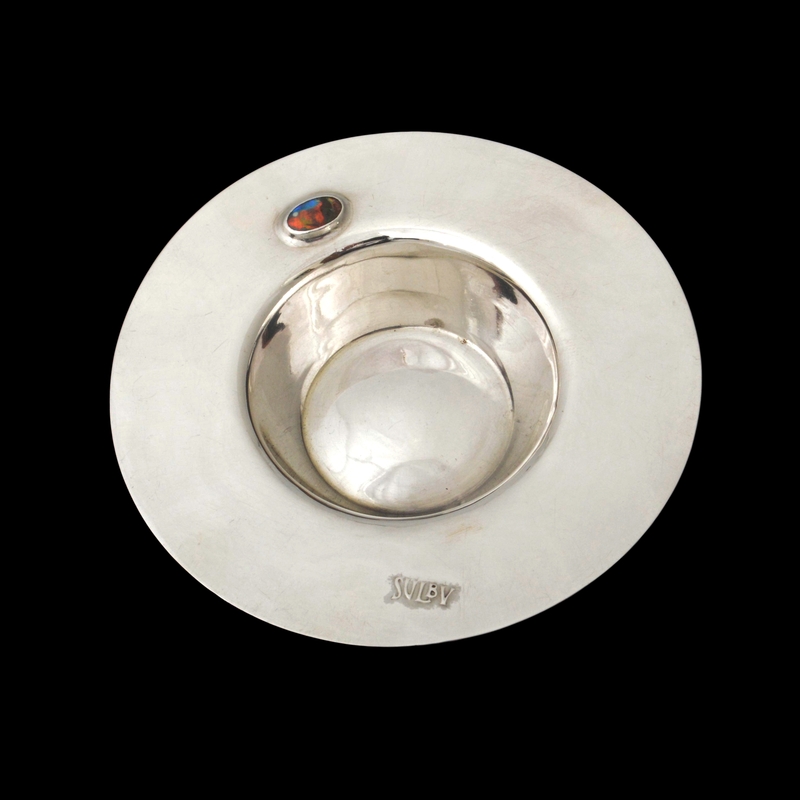 The dish is not in a museum but in a private collection on the Isle of Man, having been in the same ownership since Knox designed and personalised it. It is impressed with the name of Knox’s “home town”, Sulby, and set with a vivid black opal. The Peartree Collection is delighted to have assisted with the identification and minor restoration of this piece.